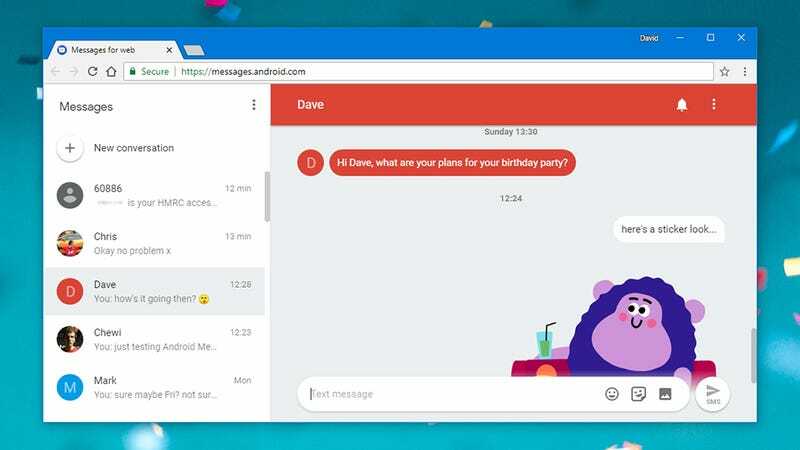 Google’s messaging options are a mess, and it just rolled out a new tool to muddy the waters even further: Android Messages, but on the web. It gives you access to your Android SMS chats through a web browser, and lets you send and receive messages. So does it make life any easier for those in Google chat purgatory? And does it get Google any closer to catching up with the likes of iMessage and WhatsApp? Android Messages on the web isn’t a proper web client, like the one Facebook Messenger has, for example—it’s basically just syncing conversations from your phone to your browser, in the same way that the WhatsApp web client does. You can’t use it on multiple computers at the same time, and you can’t use it if your phone has no connection. The feature should be live now for just about everyone. 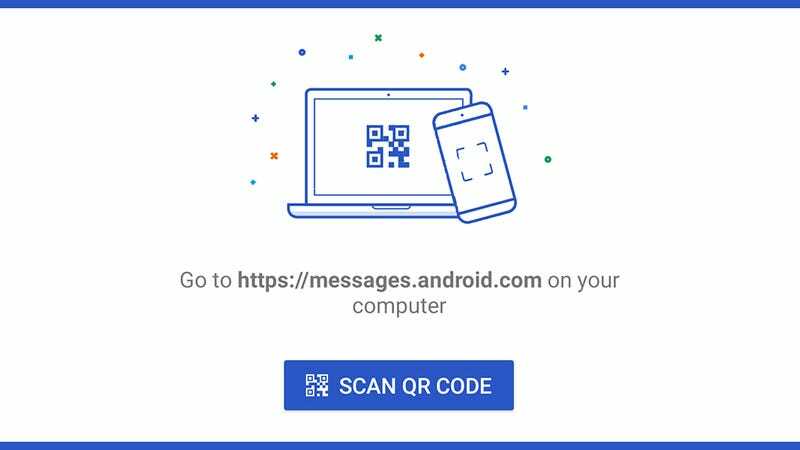 Head to the Android Messages portal, and you’re presented with a QR code; then, from the Android Messages app, tap the menu button (three dots, top right) and choose Messages for web. Tap Scan QR code, then point your phone’s camera at your web browser, and you’re in. The web interface syncs with your phone, like WhatsApp. Android Messages on the web, much like Android Messages on your phone, is a fairly spartan experience. You’ve got your list of conversations, and the conversations themselves, and that’s about it. Images, emojis, and stickers can be attached to your messages via the buttons at the bottom—the last triggers a switch to MMS, so MMS needs to be enabled on the recipient’s phone too. Dive into Settings via the three-dot menu button on the left-hand pane, and you can turn browser notifications on or off, switch to a dark mode, and get your browser to remember the connection to your phone. 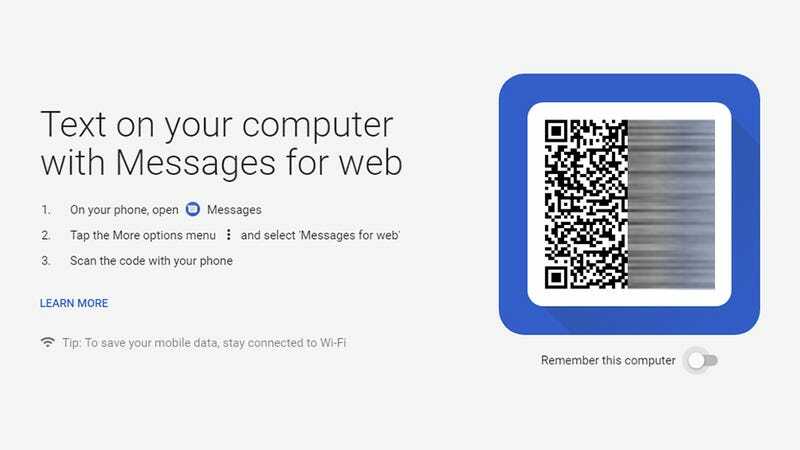 That last option means you don’t have to repeat the QR code step again, but your mobile still needs to be connected to the web via Wi-Fi or a cellular network—the messages are still being sent and received through your phone. Recent conversations are cached and encrypted in your browser, Google says, and get trashed after 14 days of inactivity (you’ll also need to repeat the sign in process again if who haven’t logged in for that period of time). It’s certainly convenient to be able to type out texts in a proper web browser, but the fact that the phone is still doing all the communicating is going to frustrate some. It’s not a question of just logging into a browser and sending out text, pictures, and whatever else over Wi-Fi... as you can do with, say, Google Hangouts. Speaking of Hangouts, for a long time we were hopeful that the app would be the one messaging tool to rule them all, especially when it added SMS and MMS support on Android. It continues to work across Android, on iOS, inside Gmail, and on the web, with support for everything from file transfers to video calls. But apparently this makes life too convenient and simple for users, as Google’s since pivoted away from Hangouts—an app that it still develops. Now it pushes Hangouts towards business users rather than the average consumer. Oh, and it’s yanked SMS support. Allo looked like a decent Google Hangouts replacement, but is pretty much dead at this point. Despite having a promising slew of features, hardly anyone decided to install it—it didn’t support SMS, it didn’t work on the web straight out of the gate, and that meant it didn’t present a lot of compelling reasons for people to switch. 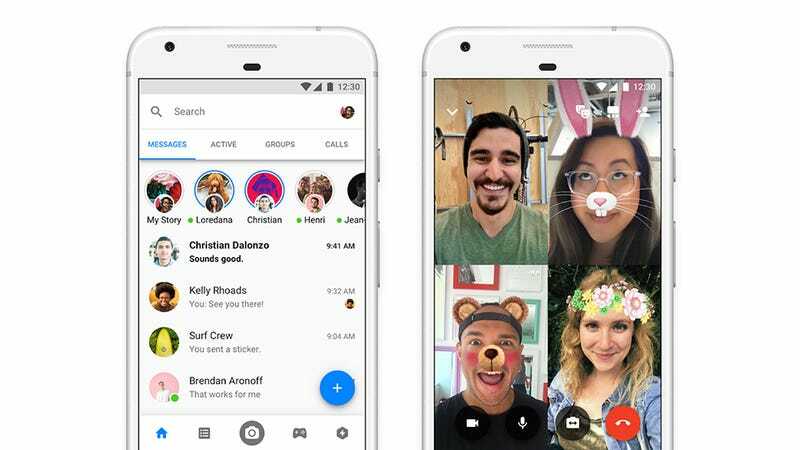 Google is currently backing a new horse “Google Chat”, which Android Messages is a part of. It’s more of an enhanced SMS service than an instant messenger in the traditional sense though, and maybe that’s smart, in a way—while it might feel like everyone is switching to WhatsApp and similar apps right now, the humble text message still accounts for hundreds of billions of messages each year. Messages now has stickers! And link previews! From what we know about the rumoured Google Chat that’s coming down the pipe (yes, it’s used that name before), it will merge the best features of instant messaging with the core functionality of SMS. It’s like an SMS successor really, with group chats, support for full-resolution images and videos, read receipts, and so on—replacing the awkwardness of SMS/MMS with something better. 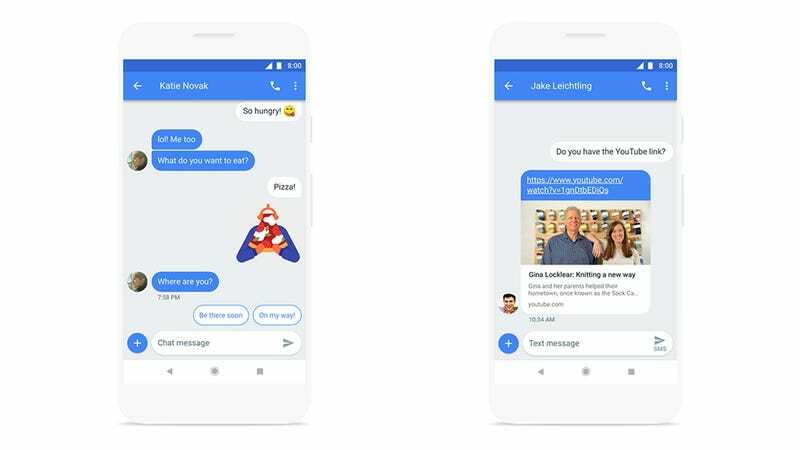 The technical term for the new service found in Google Chat is Rich Communication Services (RCS), and Android Messages is now laying the foundation for it. As the Verge reports, we’re not talking about a brand new app per se. Instead, Google is adding RCS support to Android Messages, and trying to get every carrier in the world to sign up to support the standard. So far, there’s one significant hold-out: Apple. Apple of course has its own Messages app, which can run as a simple SMS client on the iPhone, but which will try and convince you to enable iMessage: The all-in-one Apple messaging app that syncs seamlessly with macOS and gives you a pretty big reason never to up sticks and move to Android. iMessage has plenty of pluses: You get a wealth of features to play around with, including text effects, support for photos and videos, location sharing, iCloud backups, and even a bunch of mini apps. It also, crucially, offers end-to-end encryption, and that’s something Google’s RCS project is unlikely to implement as it gets carriers on board. What it means is it’s difficult for a third party to see your messages without physical access to one of the phones involved in sending and receiving those messages. iMessage keeps adding new features. 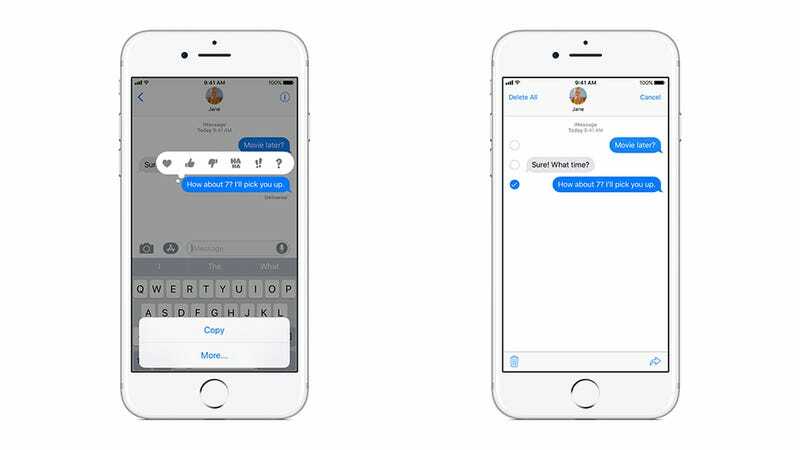 What weaknesses iMessage has probably won’t bother most iMessage users. There’s no web interface for the service, and it’s not available for Android or Windows — if you decide to switch phones or computers, you can’t get at your iMessages. Google’s floundering and Apple’s tendency to ignore Android and Windows is how the ‘over the top’ (OTT) apps like Facebook Messenger and WhatsApp have flourished: Your contacts need those specific apps installed, but they work across any kind of phone and even on the web, bypassing the SMS/MMS channels supplied by carriers. Your friends might not have Allo, but it’s not often you’re going to come across someone without a Facebook or WhatsApp account. Ultimately, Android Messages and Google Chat aren’t going to be able to compete directly with iMessage, or kill iMessage off, and that’s not really what Google is trying here in any case—this is more of a play against the wealth of OTT apps out there, which many users now prefer for their communications. >Facebook pounces while Apple and Google stall. Apple won’t let another app take over SMS and default messaging duties, so Google can’t get its own client on iOS as it did with Hangouts. What might happen (though don’t hold your breath) is Apple agreeing to support the RCS messaging standards. Even if the green bubbles stay in Messages for iOS, extra features like full image and attachment support would come into play, and both Google and Apple would be left with their own rich chat apps that even work together... up to a point. We’ll have to wait and see what else Google unveils, and which partnerships it can grab, over the rest of the year.